…yes, there are colorful blossoms and lots of bamboo framing the walk snaking through the outline of buildings and the Paris sky. One has the impression of a bit of heaven captured walking along 4 kilometers where the scent of roses and lavender beckons the onlooker to sit and dream awhile under the foliage of some cherry trees, or garlands of huckleberry blossoms. 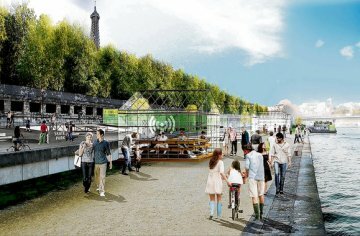 The Promenade Plantée continues through to the Jardin de Reuilly and finally ends east to the Bois de Vincennes. Often, on my way back from buying petits pains in the local Kayser bakery on the rue d’Assas I would walk a block further east to encounter the Jardin du Luxembourg. Once there I’d find a bench and sit while breaking off a piece of the crusty bread, watching other flâneurs like myself on their way to discover what this extraordinary garden has to offer; chess tables, tennis courts, roundabouts filled with laughing children and a pond where even adults can be seen setting old fashioned miniature sailing boats on their course. And that is what one has to be in Paris: un flâneur which can best be translated as to saunter, to loaf, or perhaps to stroll. I find it amusing that I can now consider myself a crusader when I walk. Certainly not as understood in the Middle Ages: to go forth and re-conquer the Holy Land from the hands of the Infidels. I understand that in a modern way. While walking one can process a whole range of feelings and learning experiences. And in that way re-conquer one’s own mind. As I accompanied my friend through the cobbled streets of old Paris, I discovered La Butte aux Cailles, a neighborhood of old houses and streets in the 14th arrondissement bearing the names of flowers. I found myself in a time warp sauntering on winding cobblestone streets, finding quaint little restaurants, and drooling before mounds of freshly baked bread in local boulangeries. Then drinking fresh water from fountains that are still fed by artesian wells. 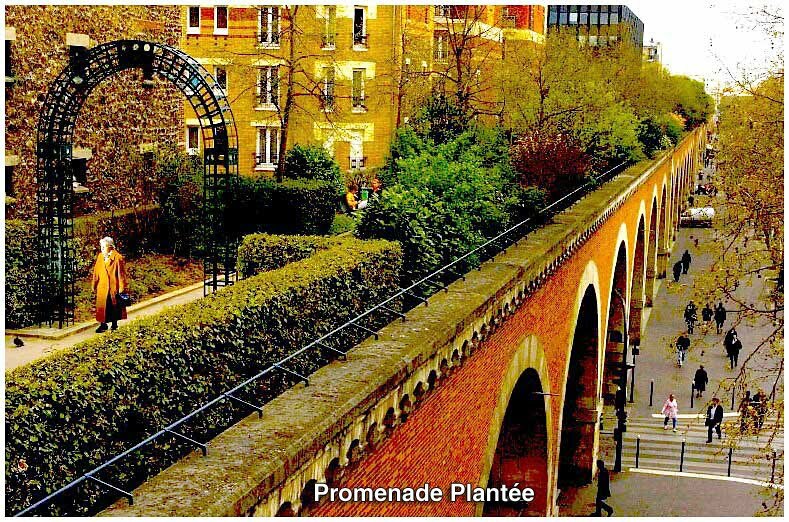 It is a working class neighborhood where the 1848 Revolution and the Paris Commune took hold. Even today the graffiti reveals an independent spirit as evidenced by the writing and drawings on the walls. 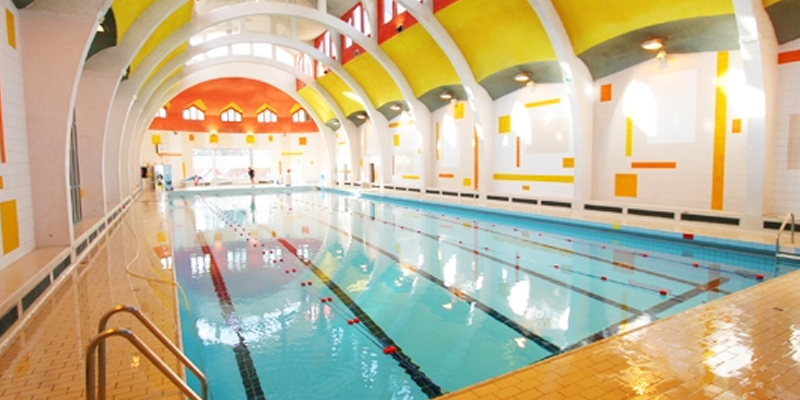 There is a lovely arts-and-crafts style indoor swimming pool where the neighborhood kids cool off from the summer heat. And all about one can feast on the sight of flowers and the charming little houses of the Cité Florale. 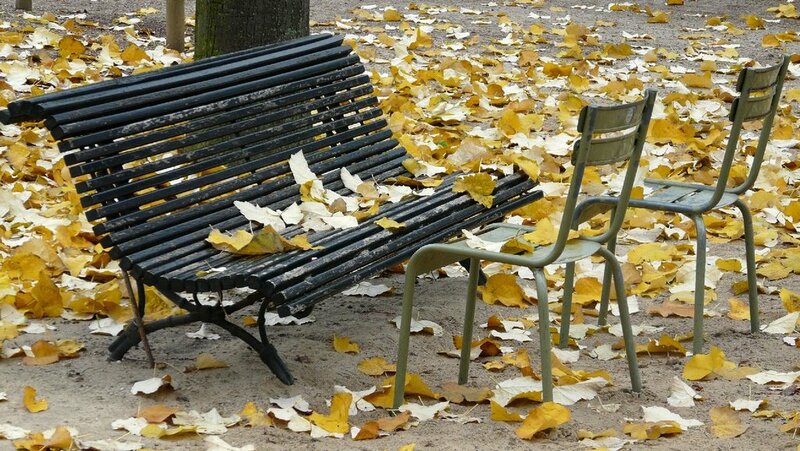 It is endless, this love the French have for their parks and woods. Even the cemeteries are a place for reverie. In the Montparnasse cemetery, a cool and comforting place when seeking relief from the summer heat, I came across the names of the poet Charles Beaudelaire, Samuel Beckett, Jean-Paul Sartre and Simone de Beauvoir, Maupassant, Ionesco and even Frédéric Bartholdi, sculptor of the Statue of Liberty. 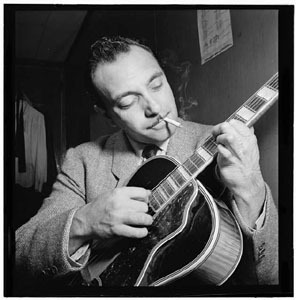 But most astounding was the hour-long walk taken in the Forêt de Fontainebleau outside Paris where on a detour into the little town of La Samois I found the country hideaway of that extraordinary Belgian gypsy guitarist Django Reinhardt. As I now listen to the music of the virtuoso guitar player Django, I feast on the memory of sauntering in Paris. The unforgettable discoveries still swirl in my mind. I love Paris. It is the keeper of a multitude of memories for me yet as I return yearly I am still dazzled by constant discoveries. Upon arrival at the airport I am enchanted by the sound of the French language welcoming me into my new adventure. I know I will soon be sitting at a little café, blissfully inhaling the aroma of a cup of coffee while watching people flowing by. I hail a taxi and within seconds the driver skillfully weaves into the traffic while I attempt to make my first observations. The cars are smaller and speed like jerky little boxes about to bump into each other. Yet on either side of the road it is all beginning to resemble the dehumanized New Jersey landscape. As if to compound my apprehension, traffic suddenly comes to a halt so that I can see and smell the landscape in slow motion. I gulp down my fear trusting the talkative driver reassuring me that all is well. But I can’t help wonder if the downfall has finally occurred and the city I loved irretrievably changed. Then a comforting feeling reminds me of the novel I was reading on the plane, Freya Stark’s novel, “The Valleys of the Assassins” and I take solace in the statement “perhaps to find out what one thinks is one of the reasons for travel and for writing too.” I’m totally captivated by her wisdom as that of Claude Levi Strauss who similarly felt that “Perhaps, then, this was what traveling was (is). An exploration of the deserts of my mind rather than those surrounding me.” As I contemplate this wisdom sifting into my thoughts I realize we have arrived in Paris. So much to drink in, sights whizzing by and street names I won’t remember. All too fast to capture, speeded up as if I were watching an accelerated film. I am relieved to reach my destination. As I walk into the lovely apartment I have rented, I am suddenly struck by an enlightened awareness: Never mind this world speeding into nothingness. I am opting for slow motion and will spend the next few weeks in Paris walking and writing to fill “the desert of my mind”. My dearest friend soon came to greet me and we decided on a plan. She has been a Parisian practically all of her life and was thrilled at the idea of taking me on a walking adventure. She is not only a well-rounded scholar and lover of literature (French and English) but walks most of the time rather than taking public transportation. She confided that in her readings she learned that the great American writers Whitman and Wordsworth claimed to have been inspired by walking as it eased the mind. Of course the great Jean Jacques Rousseau wrote an entire novel confessing his experience as a solitary walker. He certainly was a perfect example of how loneliness makes things happen.